While surfing flipkart for ordering more books in the previous week, I saw this book "The Sins Of The Father" by Jeffrey Archer. The title intrigued me. I thought of ordering the book right away, but then something clicked in my mind which told me to go through the reviews and that's when I came to know that its a book from "The Clifton Chronicles" series. The Clifton Chronicles is a series of 5 books based on the life of Harry Clifton, the protagonist. And after knowing this, I thought, I'd give it a try and picked up the first book of the series "Only Time Will Tell" from a book store that I recently discovered in my city. 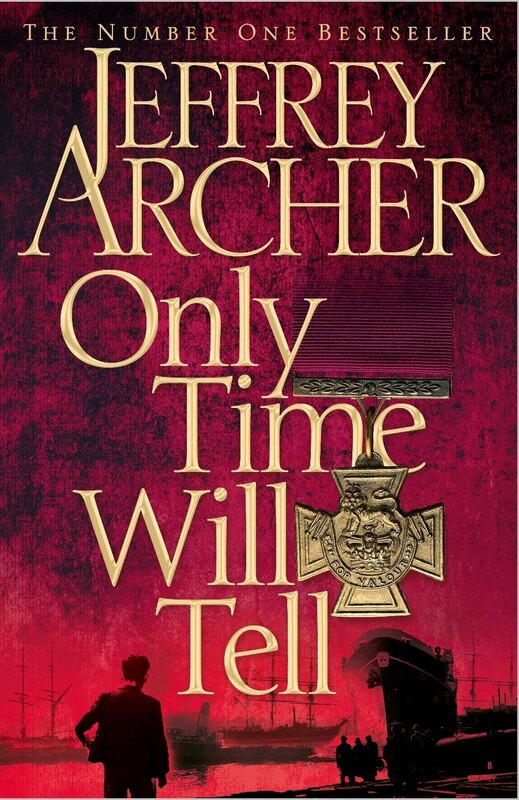 This was my first Jeffrey Archer book. I've always wanted to read his writings, but nothing inspired me to pick them up. I am glad that I did it now. 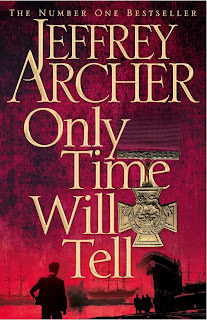 "Only Time Will Tell" is set up in Gloucestershire, Britain, and is based on the life of Harry Clifton and people associated with him. An intelligent young englishman, who makes it to Oxford, whose life is based on the lies told to him by his mother and other people which encouraged him to fight wars for his country. But, as the story unfolds, and more characters are weaved into the plot, a lot of twists and turns occur in no time, leaving Harry in a fix. The book defines his relationships with almost everyone in his life in a very interesting way, his mother Maisie Clifton, his best friend Giles Barrington, his lady love Emma Barrington, his friend Old Jack Tar and the person who have always dreaded on his existence Hugo Barrington. Harry's life changes in a moment, when he finds out the truth about his dead father and he takes up something that he has always wanted to do, when Britain is on the verge of having a war with Germany. Every character in the story has their own version of their life with Harry to tell and this is what makes the book more interesting. It is definitely a page turner and I just cannot wait to lay my hands on the next edition of the series. This book ends on a point that would definitely force you to read the next one and see what turn would Harry's life will take in future and I'm surely gonna review that one here. He is a master story teller ! Nice review. I havent read this book but might soon begin ..